Spotted this postbox the other day. You don't see too many like this around London. Surely that isn't a depiction of Paul Revere. 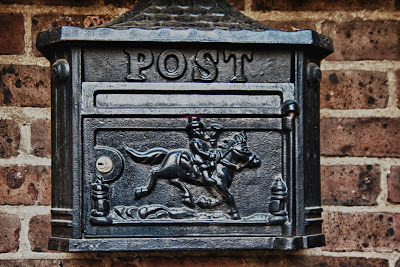 It must represent a mail carrier of earlier times. It's lovely! They sure don't make them like that in Montreal either! This is my first visit to your blog. Great pictures! Thanks for sharing your corner of the world. I like it Mo, the mail must get through! !Hope you have a good weekend. I really like it. Different from what we see in N America. Is that an actual Royal Mail post box?? The town crier maybe - or the harbinger of good news. He has a bugle so he is probably alerting the townsfolk to the fact that there is news.A sort of pre-cursor of Paul Revere. This is wonderful. 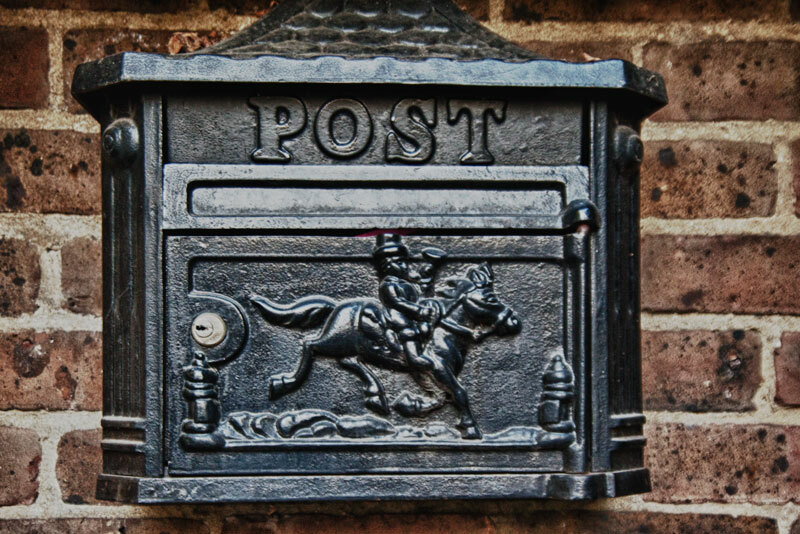 I like the traditional old mailboxes in Europe. I love all your wonderful British mailboxes! I like it Mo, a very nice postbox!